Raj Nagar Extension - NH 58 - Ghaziabad - A good investment option? 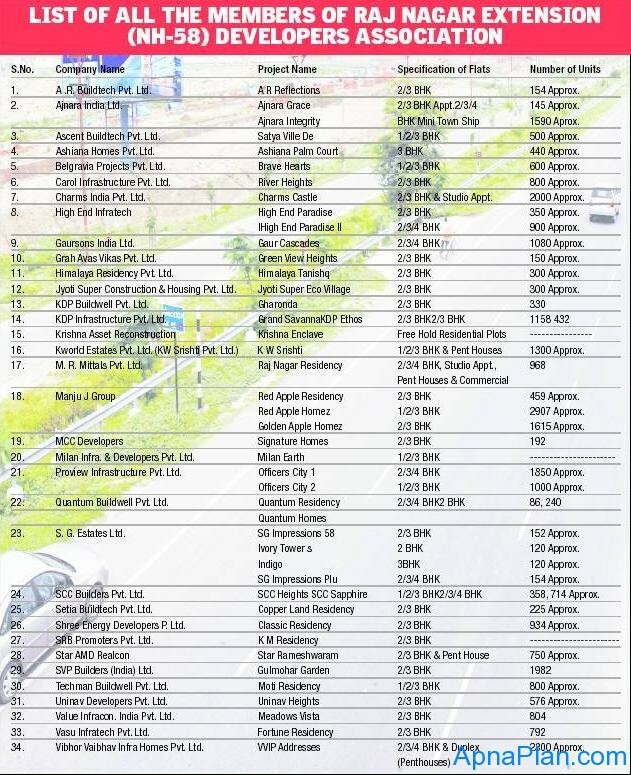 A few days back I had mentioned Raj Nagar Extension (RNE), NH 58 in Ghaziabad as a budget investment opportunity. Here are some more details. What buyers find good about Raj Nagar Extension? The prices here still on the lower side in NCR region. You can get 2BHK in Rs 22 – 30 Lakhs and 3 BHK below Rs 35 lakhs. As of date there are more than 32 thousand of residential units planned in Raj Nagar Ext. This is a huge township and so a good chance of development. Around 2,000 families have already shifted in the area and another 5,000 flats are estimated to be given possession in 2013. There are good schools already operating in and around the locality – DPS, G D Goenka and more. There are two big malls coming up in the area. There is proposed metro till Arthala, which is around 3 – 4 kms from Raj Nagar Extension. There is also a proposed Rapid Rail Transit System (RRTS) between New Delhi and Meerut which will have station a few kilometers away from RNE. The land here is free hold and till now there have been no major issues related to land acquisition. What buyers don’t find good about Raj Nagar Extension? There is delay in approval from Ghaziabad Development Authority (GDA) for the new projects in RNE. There has been some dispute between GDA and RNE Builder association regarding common area and common facilities. I have also invested in a 2BHK in Raj nagar extension and the appreciation has been good in last 2 years. Yes on a conservative estimate the rates have increased in range of 30 – 50% in last years.